Everyday Beauty: Do I Need This? Please, someone, convince me that I need this diaper bag. I really love it. 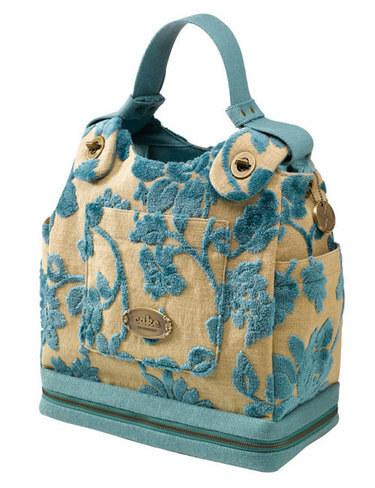 How could you not covet a diaper bag made of cut velvet and tweed? In these gorgeous colors. And just in season for this Autumn baby (who by the way, shows no signs of wanting to come out). I do realize I still have 4 weeks to go, but a girl can hope! It also comes in pink. Love. of course. And it is convertible. It can be worn with a shoulder strap or carried with the handle shown here....or worn as a backpack! George, if you're reading this, you can purchase it here. A small token for giving you another son, no? Why is it I can justify this price tag for a bag but not for the Dyson vacuum? Issues, my friends. I have major handbag issues. Such a cute bag! I was going to say definitely go for it but then I went to the link and saw how much it is! Yikes! Hopefully George will read your post and reward all of your discomfort over the past months! Just like Karla I thought SURE WHY NOT! Until I saw how much! YIKES ~ that is quite a lot but it really is too cute!! AND it could certainly be used for years to come even after the diapers and bottles are gone. Thank you so so much for all of the super sweet words and blog love Andrea!! You are truly a doll!! Hope you are feeling great!!! Best Wishes!!!! I have the opposite sickness. I love my Dyson. But could never spend that on a bag. Sad for me. Ooooh, what a cute bag!!!!!!! After having six, I say buy the bag. It'll make carrying diapers, bottles and all the extras so much more fashionable. Andrea, it's beautiful! I'd love one and I'm way out of the baby business! I say get that AND the Dyson! A Dyson is like getting new carpet! You could put it on your credit card and tell George that you were buying it for me because I didn't want Barry to know that I was spending that kind of money on a diaper bag for Caroline. Or...I know.....you could tell him the above but tell him that it was a 2 for 1 sale and I gave you the free one!!! Oh and of course tell him that I paid you back very promptly...in cash and you spent the money at the grocery store! I see why you like it sooo much, it's adorable. I love it. I would have to get it if I needed a diaper bag. Am I doing a good job of convincing you? I say get it!!! I would love to have it just because it looks so adorable!!! Get it!!! Get it!!!! You must!!! Oh, you absolutely NEED that blue bag. It's fabulous. I'm pulling for ya girl! 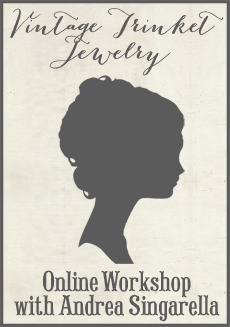 I say, don't wait for your hubs to get it for you...hurry up and get it while you have the time to do it! It's really a great bag!! Ok, so I think it's a cute bag. And while the nice thing would be for me to say, yes go for it, I just can't in good conscience say that to you. The bag is no where near as cute as the price tag says it should be. But then again ... I'm not much of a bag girl either ... so what do I know. That is super cute, too bad they don't make it liek a purse I would be all over that. You always find the cutest stuff missy! Maybe George will surprise you! 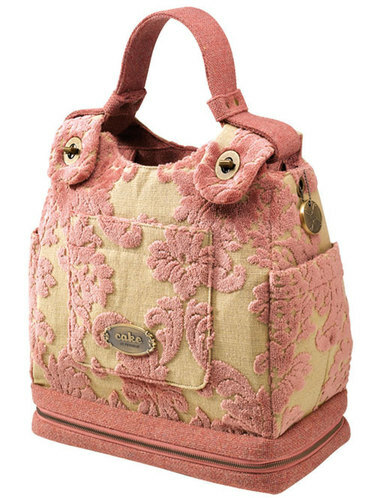 Adorable bag...almost makes me want to have to carry a diaper bag again! Almost! this bag is darling..but yikes the price!! !...but i say go for it,if you cant live without it!! I agree with everyone else, the bag is very cute and stylish, just a little spendy. But if you can reuse it over & over, why not! I must say the Dyson was the best Christmas present my husband ever bought me. He makes fun of me when I use it, saying, he has never seen anyone smile while they vacuum, but gosh it feels good to know how clean my floors are! Yes yes yes yes yes yes....You need that PINK one. You have a house FULL of men. Oh please get that one! OMG. They didn't have that when I needed a diaper bag. Did I say yes get it?